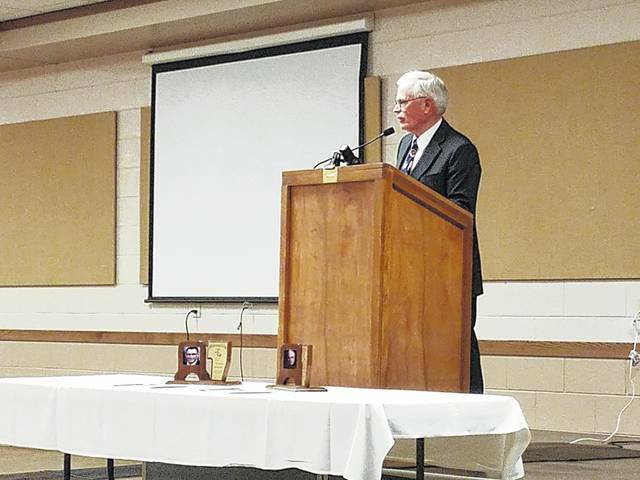 The annual Fayette County Agricultural Hall of Fame dinner honored two more deserving individuals Tuesday evening. On behalf of the Cook family, J.R. Cook, John Cook’s son, spoke of what he thought his dad would say to the people there about receiving the award. He knew John could tell them all how farming changed over the years, and that John had much wisdom to share. The second inductee, Jim Garland, took time to discuss his life in Fayette County and thanked those who supported his family. The family of John R. Cook I, who attended the dinner Tuesday evening. The family of Jim Garland, who attended the dinner on Tuesday evening. The annual Fayette County Agricultural Hall of Fame dinner honored two more deserving individuals Tuesday evening with friends, family and many guests attending. This year’s two inductees were John R. Cook I and James David Garland. On behalf of the Cook family, J.R. Cook, John’s son, spoke of what he thought his dad would say to the guests in attendance. He knew John could tell them all how farming has changed over the years, and that John would have had much wisdom to share. John R. Cook was born May 21, 1932 to Charles and Christina Cook of Madison County. Ten years later the family moved to the home farm on Danville Road. John was the oldest son of six children. He had two brothers, David and Fred, and three sisters, Jane Throckmorton, Anna Lou Hutchens and Mary Goldberg. After graduating high school, John joined the U.S. Army and served for two years. He returned to work on the family farm with his father and brothers. After his father retired and moved to Bloomingburg, John took over running the farm. John saw many changes in the farming industry. One big one was going from mixing and applying his own chemicals to having his custom blend applied by a company. John also raised sheep, cattle and occasionally hogs. John was very involved in his community. He helped organize and was a past president of the Fayette County Shepard’s Club. He was also a member of the Fayette County Cattle Feeders. He was one of the founders and an advisor for the Yatesville Producers 4-H Club in 1958. He also served on the ASC Committee for 18 years and on the Fayette County Water Conservation Committee for a number of years. John was a member of the Bloomingburg Presbyterian Church where he served as a deacon and elder for many years. He also was a trustee for Paint Township for 21 years, was a member of the BPM Joint Fire Board, sat on the Bloomingburg Cemetery Board, as well as serving on the central committee for several years. He passed away in December 2003 after a courageous battle with ALS. Garland, who introduced his family and other guests who attended, took time to discuss his life in Fayette County and thanked those who supported his family. From his neighbors to his many friends, Garland said has been supported for many years by the people who surround him and that he loves them. Garland was born in Clinton County on March 11, 1952 to Robert and Martha Garland. The family moved to Fayette County when Jim was 10-years-old to take over the Ralph Nisley family farm. Jim is a graduate of Miami Trace High School where he earned his State and American Farmer Degrees in FFA. He currently farms 2,800 acres in partnership with his brothers, Chris and Joe Garland. Jim also owns a drainage tile installation business. Throughout his lifetime, Jim has been very active in agricultural and community organizations. He is currently a member of or has been a member of The Fayette County Farm Bureau and the Fayette County Agronomy Club; the Ohio Corn and Wheat Growers Associations and the Ohio Soybean Association. Jim is also a current member of and a past chairman for the Fayette Soil and Water Conservation Board of Supervisors and is a member of, and is currently chair for the Fayette County Agricultural Hall of Fame committee. Jim is a very active member of St. Colman Catholic Church and has achieved the title of Grand Knight with the Knights of Columbus. In 2013, Jim was honored as a Hometown Hero by the Fayette County American Red Cross. Ron Weade, with the hall of fame board, thanked the various sponsors and those who attended. 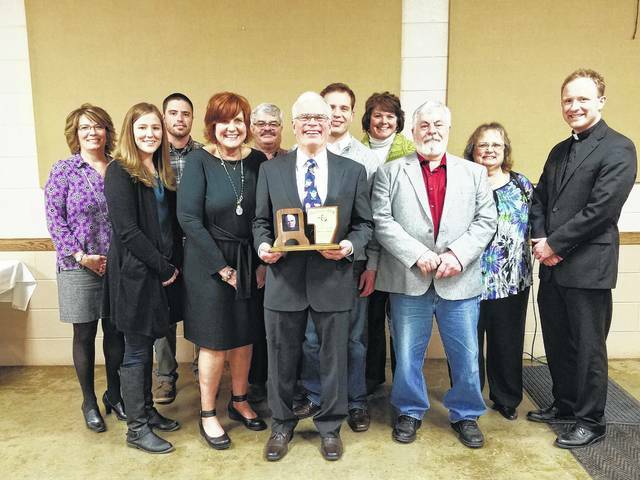 The Fayette County Agricultural Hall of Fame board also announced that they are beginning to look for 2018 inductees and asked the community to stop by the Fayette County Extension Office or speak to a board member for a nomination form. They hope the community will continue to help them honor Fayette County’s finest farmers and others who have impacted agriculture. https://www.recordherald.com/wp-content/uploads/sites/27/2017/03/web1_20170307_195405.jpgThe annual Fayette County Agricultural Hall of Fame dinner honored two more deserving individuals Tuesday evening. 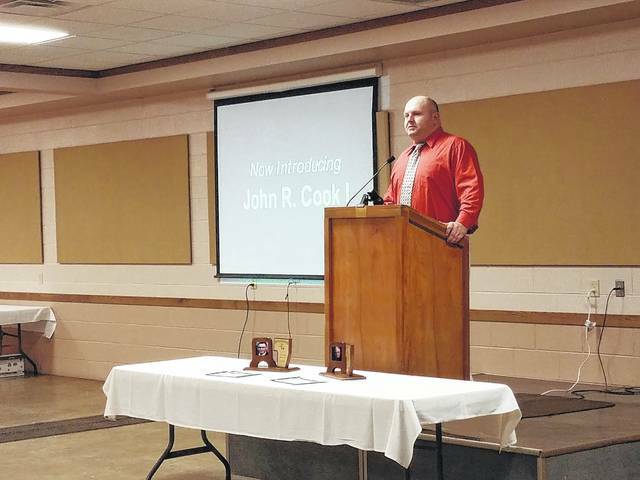 On behalf of the Cook family, J.R. Cook, John Cook’s son, spoke of what he thought his dad would say to the people there about receiving the award. He knew John could tell them all how farming changed over the years, and that John had much wisdom to share. https://www.recordherald.com/wp-content/uploads/sites/27/2017/03/web1_20170307_200247.jpgThe second inductee, Jim Garland, took time to discuss his life in Fayette County and thanked those who supported his family. 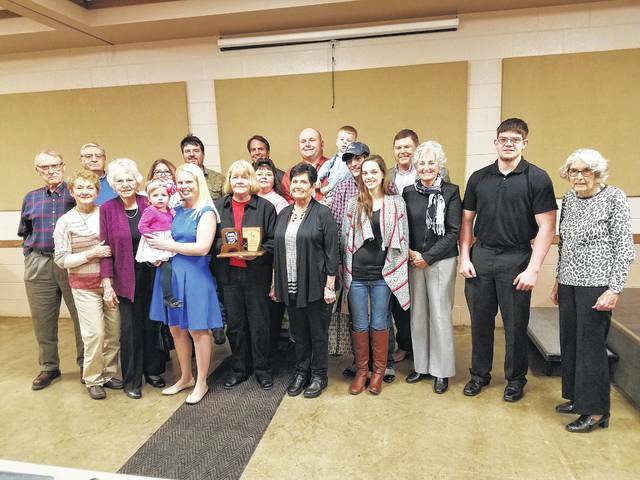 https://www.recordherald.com/wp-content/uploads/sites/27/2017/03/web1_20170307_201701_010.jpgThe family of John R. Cook I, who attended the dinner Tuesday evening. https://www.recordherald.com/wp-content/uploads/sites/27/2017/03/web1_20170307_202507_010.jpgThe family of Jim Garland, who attended the dinner on Tuesday evening.